The American Recovery & Reinvestment Act of 2009 provides a deduction for state, local sales, and excise taxes paid on qualified new vehicles through 2009. This deduction applies to vehicles purchased after 2/16/09 & before 2010. One of the biggest returns on investment comes from a kitchen remodel. Kitchen remodels return an average of 85% of every $1 spent. Expect an even higher return in an older home. 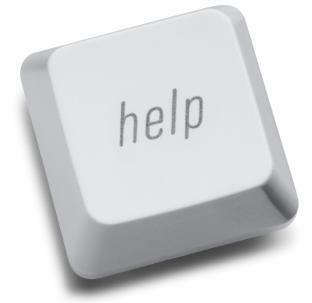 Help is finally just a button and click away. 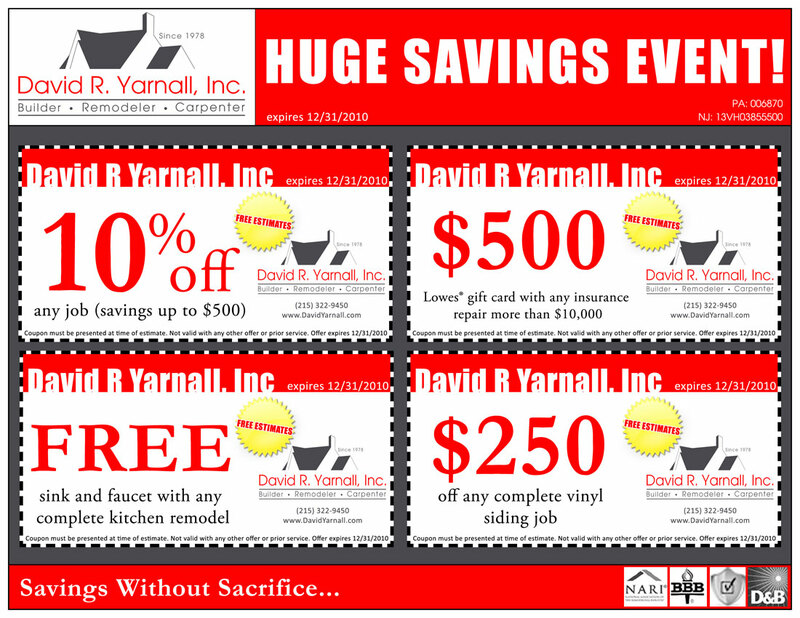 David R. Yarnall, Inc. is a name you can count on. You dream it, we build it. We have been building trust since 1978. Give us the chance to serve you! All work performed is guaranteed for one year upon completion. 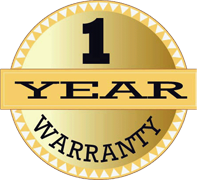 All material is guaranteed as per manufacturer’s warranty. Any modifications shall be in writing and agreed upon by both parties in writing. 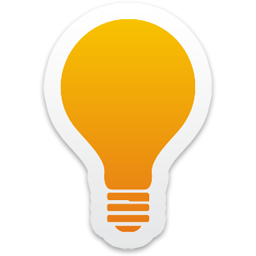 Modifications to the project description may impact the cost of the project and time of completion. All estimates are valid for 30 days. We are committed to being accessible. If you have any questions, comments or concerns please call or send us an email. Typical response time is 1-2 business days, depending on the nature of the question. 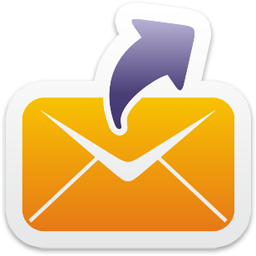 Please note that we do not respond to form letters or e-mail campaigns. Remember to include in your contact information your name, phone number, email address, and best method and time to reach you. To include yourself onto our mailing lists for postcard mailers or email newsletters for current advertised deals and coupons contact us with your information. 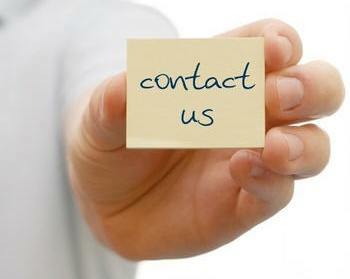 We will soon be sending out a newsletter to all our past and current customers requesting updates to any contact information we have in our records. 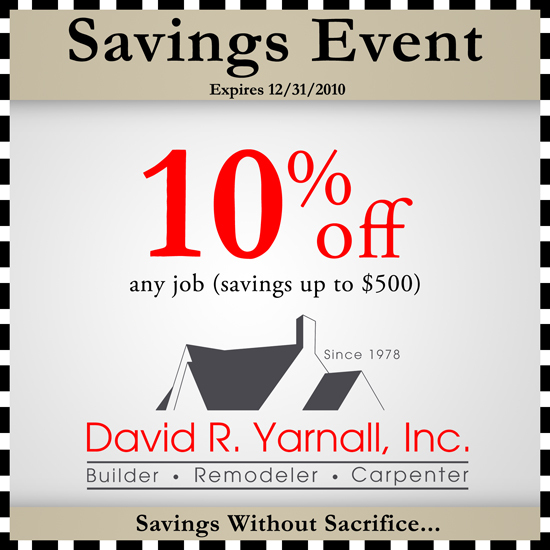 Please watch a short 4-minute video from the NARI on "selecting a general contractor for home improvements" and a 2-minute Public Service Announcement highlighting "the dangers in hiring the wrong general contractor". Please watch the following helpful videos from Expert Real Estate Tips; a short 2-minute video on "using your contractor to your advantage" and a 3-minute video on "home renovations and expect the unexpected".